Portfolio Categories: 2015 and B. Born on May 20, 1921 in the “Old Polish” Fleet Avenue neighborhood of Cleveland, OH, Chester Budny became one of the city’s great southside musicians of the 1940s and 1950s. At the young age of 4, he displayed a keen interest in music and was given a violin at age 6. Later at the age of 12, Chester bought himself a drum. Since the young artist loved to sing while he played he be-came known as “The Singing Drummer.” He performed in the St. Stanislaus marching band and later played drums in the U.S Army. After returning from World War II, Chester formed “The Chester Budny Orchestra” that specialized in Slovenian style polka music. His big band performed at numerous venues, appeared on Dutch Television, and recorded on the Bravo, Dart, and Columbia Records labels from 1949 through 1953. 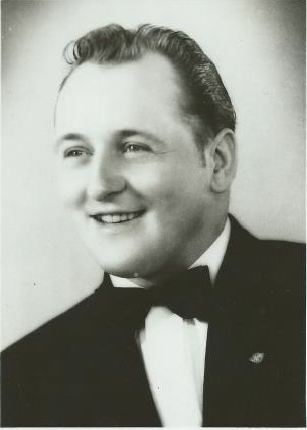 In 1951, Chester received top honors from WJMO Radio’s Paul Nakel by being named Cleveland’s “Polka King.” In his golden years, his polka sound even embraced the Polish style. In 2010, Chester Budny was inducted into the Cleveland Polka Hall of Fame. In recognition of these and other achievements, the Electorate has determined Chester Budny to be inducted into the Polka Music Hall of Fame®.